Hotels, motels, inns. These are places of refuge for the weary and homesick traveler. Checking in, relaxing, and finally laying down to sleep, there is no worse feeling than having all the serenity interrupted by the supernaturally unexplained. 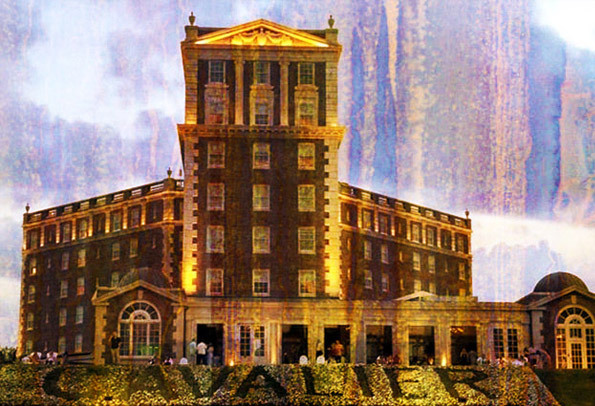 For those looking to travel soon, here are 10 haunted hotels worth checking out. Built in 1843, this charming inn provides a real-world Southern delight in terms of hospitality and color. 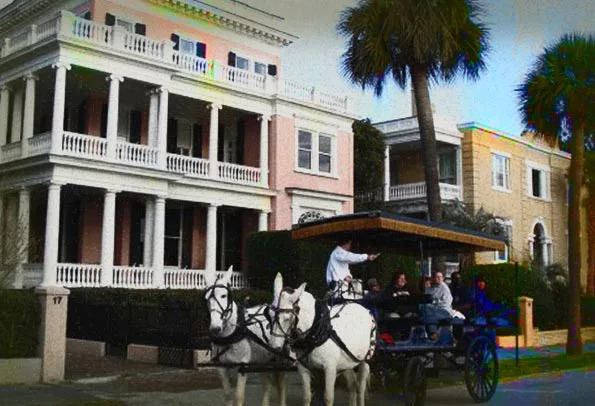 Spacious, ornate, and decorated with historic perfection, the Battery Carriage House Inn also is never truly vacant. There are several haunted spots at this inn, with the busiest being in Room 8 where a ghost that manifests as a headless torso is known to awaken visitors in the dead of night. One possible explanation for the headless spirit is the fact that trees on site outside Room 8 were used to hang pirates centuries ago. Not to be outdone, doors down in Room 10, another ghost dubbed “The Gentleman” haunts the room. Guests have reported seeing a tall, slender looking man of delicate appearance who if seen, leaves behind a rather pleasant soap scent to the room. Situated right on the Mississippi, this centuries-old inn was once a hotspot for those rough travelers who landed on the shores via the steamboats and ships. Parts of the brick in the inn are original from the hundreds of years previous when a section of this place was originally a bakery. Strange shadow figures and odd sounds are a common report of visitors. In the middle of the night, the faintest sound of squeaking hoist chains can be heard as well. The older part of the inn has had reports of a ghost that has been known to leave bloody red handprints on guests pillows upon waking in the morning. Today the French Quarter Inn is a very quaint, and functional place to stay amongst the hustle of New Orleans, just be sure to check your pillow in the morning! Naturally built in 1886, the exclusive Crescent Hotel & Spa has all the offerings of any luxury hotel for those looking to be pampered while on a getaway. However, for those looking for a bit more of a paranormal experience won’t be disappointed either. Spirits have reported being seen by visitors in the form of a wispy fog-like appearance. Dragging low to the ground, people have had enormously large cold spots pressed against their legs and had them bumped by unseen forces. One of the top requested rooms in the hotel is Room 419 that is said to be haunted by a nurse who once lived there named Theodora. Guests have reported leaving their rooms very messy only to return a short time later to find things most tidy and rearranged. In fact, they report having seen objects slowly move across the room and return to their natural position by this nurse spirit. And if it’s orbs you’re after, Room 218 is notorious for all the different orbs that have been captured over the years floating around the room. The Cavalier was constructed during the 1920s and was a popular spot for many wealthy celebrities at the time. Adolph Coors, the actual founder of Coors Beer stayed here often, however, he also fell to his untimely death from a 6th story window. Visitors who stay on this particular floor are said to feel a small gush of wind from an unknown direction. Also, guests have reported hearing a thud outside on the grounds where Coors body was found decades ago. Perhaps the most frightening is that of an unknown Army soldier who haunts the staircases and tells guests not to go upstairs. During World War II, parts of the hotel were used as an Army barracks of sorts and a shipwreck carrying bodies back from Europe with American soldiers happened. 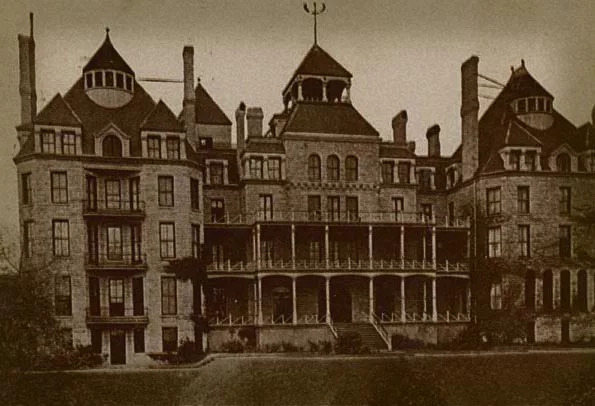 In the short term, the bodies were kept at the hotel until they were removed and sent to their final resting places, but apparently, their spirits linger there to this day. In the late 1800s, the Grand Island area had a supervisor official installed to monitor the area. 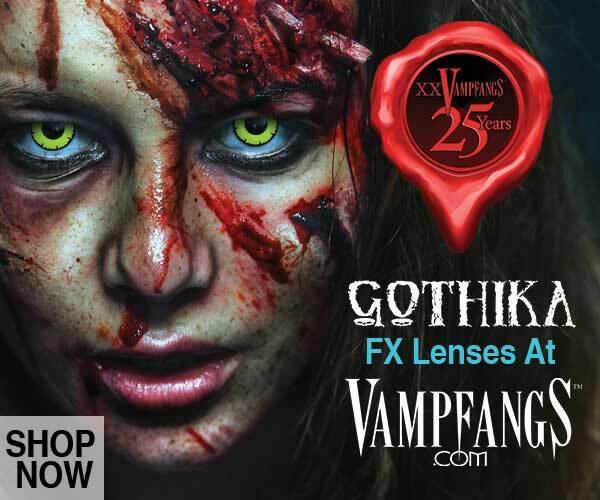 Soon after moving there, his mansion burned to the ground and along with it his youngest daughter Tanya. Fast forward to 1977, the hotel chain Holiday Inn constructed an elaborate hotel over the area where the mansion once stood. Soon after construction, the hauntings began. Guests reported a little girl in a white nightgown attempting to wake them up while they were sleeping. Other times, they report hearing a wailing child scream in an adjacent room only for management to reveal that the room is unoccupied. The most chilling is a guest waking up to see his children playing with a strange girl in a white dress in the room. When the father rousts from the bed, the girl darts into the bathroom and shuts the door. The father goes over and opens the bathroom door to find the inside completely empty! 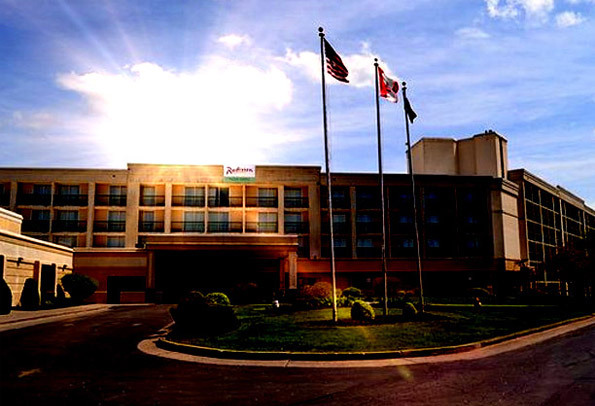 Eventually, the Holiday Inn sold the property to the Radisson chain and it is still quite an active location. 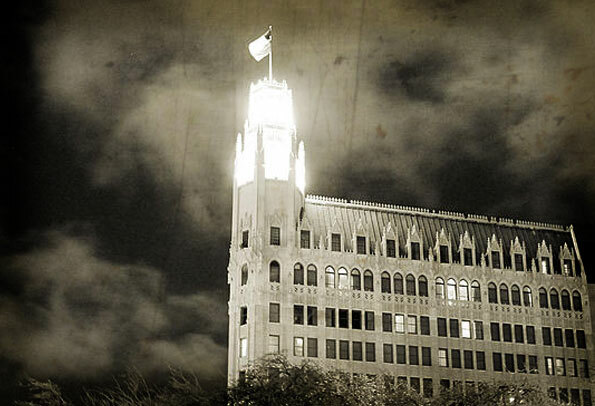 A Hilton hotel property that is officially the “hotel of the Alamo”, the Emily Morgan’s grounds have seen their share of bloodshed over the years in the battle for Texas. 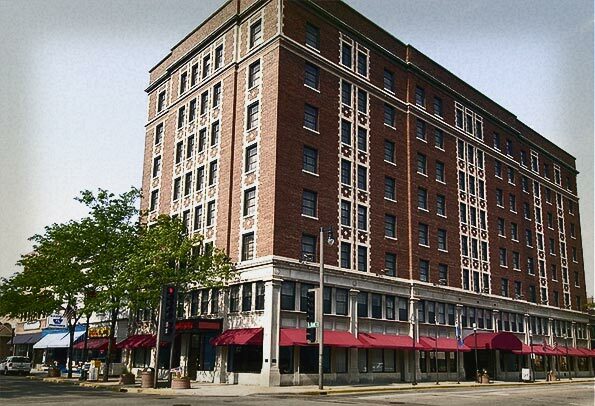 Before Hilton took over, the building was used as a mortuary, psychiatric ward, and hospital. Today the upper floors, in particular, the 7th, 12th, and 14th, are the most active. Electrical issues are the chief complaint as the lights in a room flicker on and off, as do the television sets. Guestroom phones have rung in the middle of the night to nobody on the other end. Disembodied spirits are seen, that in particular of a woman in a white dress who appears to wonder looking for something lost. Of all things, one ghost has been known to run bath water for guests while they are away from their rooms ensuring their stay has hospitality coming from both the living and the supernatural. Built in 2000, this hotel in the Choice chain is considered fairly new by haunting age standards. The earliest reports are of a middle-aged man who is seen impatiently waiting in front of the elevators. At other times, he’s seen on different floors posed in front of the same elevators, always waiting hurriedly. His sightings are fairly tame compared to the horrors some guests have experienced. Happening almost always to male occupants, they report being awoken by a headless woman in a white dress that is covered in blood! Sometimes she is seen while a male guest is fully awake and she enters the room mysteriously and then fades and passes right through the wall. The origin of both the headless woman and the elevator man are a mystery to this day. 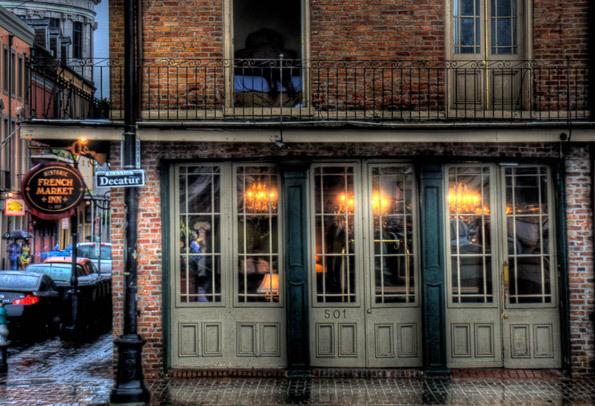 Built in 1797, this is one of the oldest hotels in the United States. Along with such a lengthy business history, the hotel is haunted by a Civil War nurse named Rachel. Guests report items floating across their rooms, as well as clothes being folded and mysteriously put away in the drawers. Other times they speak of a cool breeze of zero origins to pass through the room, followed by a feeling of comfort. 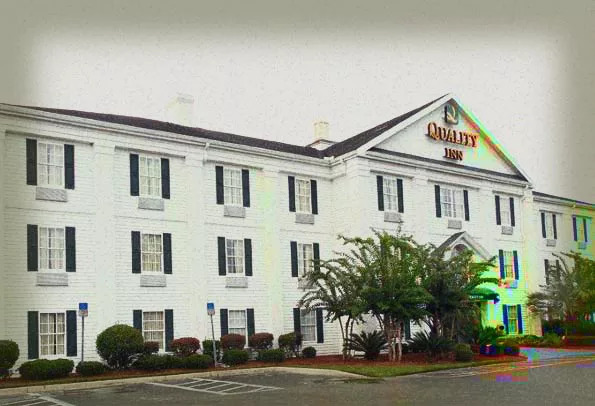 This hotel also has one of the rare distinctions of actually embracing such paranormal activity and hosts ghost tours on the premises and even boasts of a “Ghostly Encounter Hotel Package”. Deadwood, South Dakota became famous in the late 1800s as gold rush fever hit. 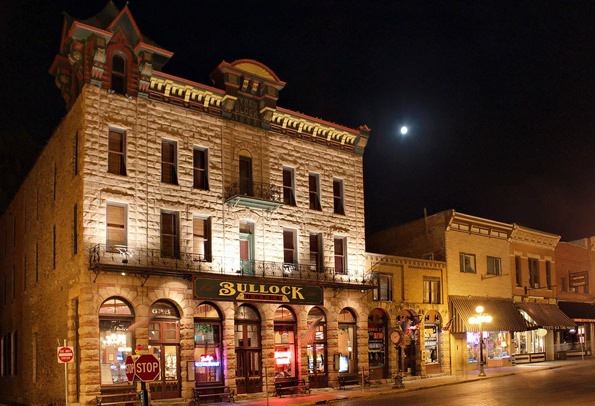 Businessman Seth Bullock built the hotel to help capitalize on all people looking to spend time staying in the area. 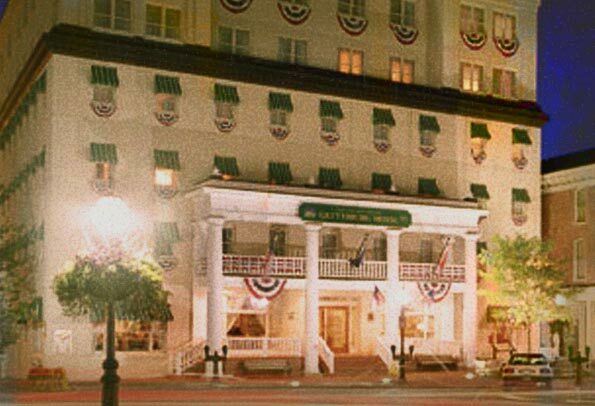 Bullock passed away in 1919, but his ghost still haunts the hotel. Staff have reported at odd times, when there is no hotel business to tend to and they’re merely standing around, a glass may break or vase get moved by Bullock’s ghost, as to somehow stay busy and keep the hotel looking pristine. Guests report lights in their rooms being turned off if too many of them are on, a supernatural sign from Bullock that frugality knows no bounds. In the bar area, bar stools have been known to gently be pushed back into a position aligned with bar tables so to keep things orderly. 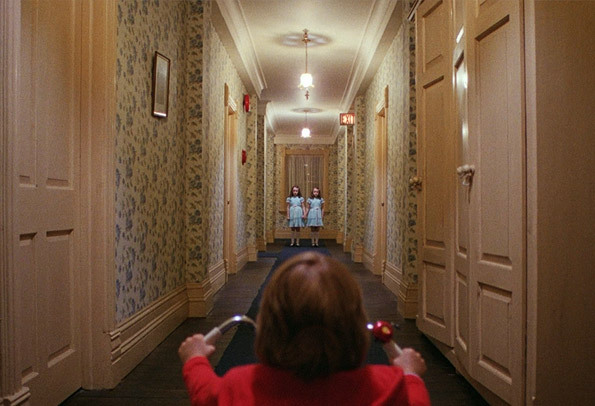 Other times staff and guests feel like they’re being watched, no doubt Bullock is making sure his hotel is run with supernatural authority to this day. Built in 1922, the Hotel Retlaw was constructed as part of a greater chain of hotels in the northern Wisconsin area. The hotel itself has a small series of tunnels built underneath it that were used for running alcohol during prohibition days. It was actually placed on the National Register of Historic Places in 1984. However, with all the decorated history, the place does have its share of paranormal activity. Room 717 is the epicenter of the majority of the activity. Screams of both a man and woman can be heard at all hours of the day and night. Other times, guests report being shoved or having their hair pulled in the middle of the night. Banging and stomping within the walls is another reported activity that goes on at all times. Downstairs in the Crystal Ballroom, cold spots are notorious, no matter the weather or the dress of a guest. Staff reports the faint sound of music playing from the ballroom when nobody is in there, as well as a ghost couple that can be seen dancing. While the hotel’s activity is strong, it is not considered malevolent and it boasts a fairly robust business to this day. 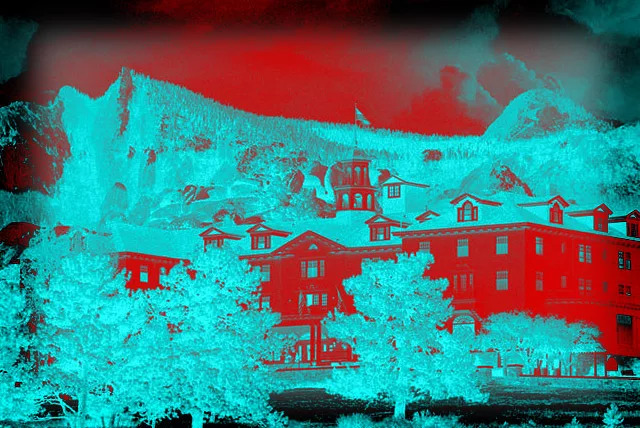 Check out our full list of America’s Most Haunted Hotels.